For other uses, see Ranganathaswamy Temple (disambiguation). The Sri Ranganathaswamy Temple or Thiruvarangam is a Hindu temple dedicated to Ranganatha, a reclining form of the Hindu deity Maha Vishnu, located in Srirangam, Tiruchirapalli, Tamil Nadu, India. Constructed in the Dravidian Architecture, this temple is glorified by Alvars in their Divya Prabhanda and is one among the 108 Divya Desams dedicated to Vishnu. It is one of the most illustrious Vaishnava temples in South India rich in legend and history. The temple has played an important role in Vaishnavism history starting with the 11th-century career of Ramanuja and his predecessors Nathamuni and Yamunacharya in Srirangam. Its location, on an island between the Kollidam and Kaveri rivers, has rendered it vulnerable to flooding as well as the rampaging of invading armies which repeatedly commandeered the site for military encampment. The temple was looted and destroyed by the Delhi Sultanate armies in a broad plunder raid on various cities of the Pandyan kingdom in early 14th century. The temple was rebuilt in late 14th century, the site fortified and expanded with many more gopurams in the 16th and 17th centuries. It was one of the hubs of early Bhakti movement with a devotional singing and dance tradition, but this tradition stopped during the 14th century and was revived in a limited way much later. The Srirangam temple is the largest temple compound in India and one of the largest religious complexes in the world. Some of these structures have been renovated, expanded and rebuilt over the centuries as a living temple. The latest addition is the outer tower that is 67 metres (220 ft) tall, completed in 1987. Srirangam temple is often listed as one of the largest functioning Hindu temple in the world, the still larger Angkor Wat being the largest existing temple. The temple is an active Hindu house of worship and follows Thenkalai tradition of Sri Vaishnavism. The annual 21-day festival conducted during the Tamil month of Margazhi (December–January) attracts 1 million visitors. The temple complex has been nominated as a UNESCO World Heritage Site, and is in UNESCO's tentative list. The Ranganathaswamy Temple at Srirangam, also known as Thiruvaranga Tirupati, is located about 12 kilometres (7.5 mi) north of the city of Tiruchirappalli, about 325 kilometres (200 mi) southwest of Chennai. The city is connected daily to other major cities by the network of Indian Railways, Tamil Nadu bus services and the Highway 38. The site is near the Tiruchirappalli International Airport (IATA: TRZ). Srirangam temple complex across the river on left. The temple site is on a large island bounded by the Kaveri River and Kollidam River. It is vast and planned as a temple town with Sapta-Prakaram design where the sanctum, gopuram, services and living area are co-located in seven concentric enclosures. Rampart walls were added after medieval centuries that saw its invasion and destruction. The temple monuments are located inside the inner five enclosures of the complex, surrounded by living area and infrastructure in outer two enclosures. Numerous gopurams connect the Sapta-Prakaram enclosures allowing the pilgrims and visitors to reach the sanctum from many directions. The site includes two major temples, one for Vishnu as Ranganatha, and other to Shiva as Jambukeshvara. The island has some cave temples, older than both. Beyond the ancient textual history, archaeological evidence such as inscriptions refer to this temple, but these stone inscriptions are from late 1st millennium AD. The inscriptions in the temple belong to the Chola, Pandya, Hoysala and Vijayanagar dynasties who ruled over the region. These inscriptions range in date between the 9th and 16th centuries. During the period of invasion and plunder by the Ala ud Din Khilji's Muslim general Malik Kafur and his Delhi Sultanate forces in 1311, the Arabic texts of the period state that he raided a "golden temple" on river "Kanobari" (Kaveri), destroyed the temple and took the plunder with the golden icon of the deity to Delhi. According to Steven P. Hopkins, this is believed to be the Ranganathaswamy Temple. The Tamil texts that followed offer various inconsistent legends on how the temple regained the Vishnu icon. According to one found in Koil Oluku, a young girl had vowed to fast till she had seen the icon. She followed the Muslim army as it returned with the loot back to Delhi. There she sneaked into the palace and saw that the Sultan's daughter had fallen in love with the image. The young girl returned to Srirangam and told the priests about what she had seen in Delhi. The priests went with musicians to Delhi, found the icon in capriciously playful possession of the Sultan's daughter, day and night. They sang and danced before the Sultan to return the icon, and he gave it back which upset his daughter. To console the daughter, the Sultan sent in his army again to bring it back, but this time they were not successful. According to other versions, the Muslim daughter followed the icon from Delhi to Srirangam on a horse, symbolizing that love brought back the icon after war had taken it away. An 1870 photo of the gopurams in the temple town. Beyond these legends, there was a more severe second invasion of South India including Srirangam in 1323 AD. The sanctum's Vishnu image with its jewelry was pre-emptively removed by the Hindus before the Delhi Sultanate troops reached Srirangam by a group led by the Vaishnavite Acharaya Pillai Lokacharyar to Tirunelveli in Tamil Nadu. The Goddess Ranganayaki (Lakshmi) was also taken away to another location by a separate group. The temple was defended and according to the Tamil tradition some 13,000 Sri Vaishnavas devotees of Srirangam, died in the fierce battle. After nearly six decades when Madurai Sultanate ruled after the Chola rulers were ousted after the repeated Delhi Sultanate's invasions, the Vijayanagara Empire ousted the Madurai Sultanate in 1378. Thereafter, the Vishnu and Lakshmi images were brought back to Srirangam by Swami Vedanta Desika. Before then, for decades the deity and the priestly wardens wandered and secretly carried the temple's icon through villages of Tamil Nadu, Kerala and Karnataka. They finally went to the hills of Tirumala Tirupati, where they remained until the temple was rebuilt in 1371. The icon was consecrated again according to the legends. This time, in memory of the first Sultan's daughter which tradition calls Thulukha Nachiyar, a niche in the temple was built for her. The niche shows her as a girl sitting on a horse that carried her to Delhi. Her legend is still remembered. During contemporary processions when the icon is taken out of sanctum and then returned to it after its journey, Thulukha Nachiyar is dressed in Muslim garments and food offerings are made to her in the form of butter and chappathis (wheat bread). Thereafter, under Vijayanagara Empire, the temple site saw over 200 years of stability, repairs, first round of fortifications, and addition of mandapas. The Vishnu and Lakshmi images were reinstalled and the site became an Hindu temple again in 1371 CE under Kumara Kampana, a Vijayanagara commander and the son of Bukka I. In the last decade of the 14th century, a pillared antechamber was gifted by the Vijayanagara rulers. In the 15th century, they coated the apsidal roofs with solid gold sheets, followed by financing the addition of a series of new shrines, mandapas and gopuras to the temple, according to George Michell. After the destruction of the Vijayanagara in late 16th century, geo-political instability returned. The site became the focus of bitter wars between the Hindu Nayakas and the Muslim Mughals in the 17th century. The Nayakas fortified the temple town and the seven prakaras. It was taken over by Muslim Nawabs of Arcot as a lucrative source of revenues, and thereafter attracted a contest between the French and British military powers. Srirangam temple site and the neighboring city of Tiruchirappalli (Trichy) became an intense center of Christian and Muslim missionary activity during the 18th and 19th centuries. With the establishment of the Madras Presidency within the British Empire, geo-political stability returned and the Ranganathaswamy Temple site attracted interest in archeological and historical studies. The epigraphical evidence suggests that these Hindu dynasties — Cholas, Pandyas, Hoysalas, Nayaks, Vijayanagara – assisted with rebuilding, renovation and supported the traditional customs. Some mention substantial gifts to the temple. A Chola king, for example, presented the temple with a golden serpent couch. Some historians identify this king with Rajamahendra Chola. The temple has witnessed and played a key role in the early Sri Vaishnavism history, particularly the centuries that followed the major Hindu philosopher Ramanuja (1017–1137 AD), and his predecessors Nathamuni and Yamunacharya. It witnessed the debate between the Dvaita (dualistic) and Advaita (nondualistic) sub-traditions within Vaishnavism. Centuries later, it was a key site in the debate and disagreements between the northern Tamil and southern Tamil traditions, also called as the Vadakalai and Thenkalai. The early rulers such as the Pallavas, Cholas and Pandiyas supported it as a hub of the Bhakti movement with a devotional singing and dance tradition, but this tradition stopped during the 14th century and was revived in a limited way much later. Ranganatha painting (not from the temple, nothing like the one in the temple). The temple and its artwork are a subject of numerous different Tamil legends covered in regional Puranic texts. Sriranga Mahathmiyam, for example, is one of the compilation of the temple mythology about its origins. According to it, Brahma was performing austerities during the samudra manthan (churning of cosmic ocean), and Srirangam Vimanam emerged as a result. It remained in Satyaloka for ages, was brought to Ayodhya by king Ikshvaku. After Rama, an Avatar of Vishnu had killed the evil demon Ravana, he gave it to King Vibhishana who wanted to be with Rama. When Vibhishana passed through Trichy en route to Sri Lanka where he had become the king, the Srirangam Vimanam would not move from the island. So he gave it to a local king called Dharma Varma if the king consecrated the Vimanam to face the south cardinal direction eternally, blessing him and Lanka. Hence it is that the deity (in a reclining posture) faces South, his body aligned to the east-west axis. As per another legend, Sanaka, the four child sages, came for a darshana of Ranganatha in Srirangam. They were stopped by Jaya and Vijaya, the guardians of Vaikuntha. In spite of their pleadings, they were refused entry. In anger, all four of them cursed the guardians in one voice and left. The guardians approached Vishnu and told him about the curse. Ranganatha said that he would not be able to revert the curse and gave them two options: be born as demons opposing Vishnu in three births or good human beings in the following seven births. The guardians accepted being demons and are believed to have taken the form of Hiranyaksha & Hiranyakasipu, Ravana & Kumbakarna and Sisupala & Dantavakra. Vishnu took three avatars – Narasimha, Rama and Krishna respectively – to kill the demons in each one of those births. The temple is enclosed by 7 concentric enclosures with courtyards (termed prakarams or mathil suvar). Each layer has walls and gopurams, which were built or fortified in and after the 16th century. These walls total 32,592 feet (9,934 m) or over six miles. The temple has 17 major gopurams (towers, 21 total),[note 3] 39 pavilions, 50 shrines, 9 sacred water pools, Ayiram kaal mandapam (a hall of 1000 pillars) and several small water bodies inside. The temple is aligned to the north-south and east-west axis, on an island surrounded by the Kaveri River. The river has long been considered sacred, and called the Daksina Ganga or the "Ganges of the South". The outer two prakarams (outer courtyard) are residential and markets with shops, restaurants and flower stalls. The five inner courtyards have shrines to Vishnu and his various avatars such as Rama and Krishna. Major shrines are additionally dedicated to goddess Lakshmi and many saints of Vaishnavism. In particular, these shrines celebrate and commemorate the Bhakti movement poet-saints called the Alvars, as well Hindu philosophers such as Ramanuja and Vedantadesika of Sri Vaishnavism tradition. Despite the construction of various mandapas and gopuras over a span of many centuries, the architecture of the Ranganathaswamy temple is one of the better illustrations of Hindu temple planometric geometry per agama design texts in the Tamil tradition. According to George Michell, a professor and art historian on Indian architecture, the regulating geometry and plan of Srirangam site takes on "a ritual dimension since all the architectural components, especially the focal gopuras and the most important colonnades and mandapas, are arranged along the axes dictated by the cardinal directions". This alignment integrates the routes that devotees follow as they journey unto the innermost sanctum. Sculpture in the Venugopala shrine. The temple complex includes over 50 shrines. These are dedicated to Vishnu, Lakshmi as well as various Vaishnava scholars and poets. The shrines to Vishnu display him in his various avatars, as well as his iconography. For example, the Ranganathaswamy temple shrines and symbolism include those to Chakkarathazhwar, Narasimha, Rama, Hayagreeva and Gopala Krishna. The Chakrathazhwar shrine is in east facing on the south side of Akalanka. The sanctum is approached through a Mukamandapa (six rows of pillars) built during the Cholas and a Mahamandapa with six rows of eight pillars built during the period of Vijayanagar Empire. There is a circumambulation passage around the sanctum. The image of Chakrathazhwar is sculpted with Narasimha on the rear side and can be viewed from the passage around the sanctum. The Venugopala shrine, one of the most elaborately carved, is in the south-west corner of the fourth enclosure of the temple was built by Chokkanatha Nayak, according to an inscription dated 1674. The main shrine for Ranganatha is in the innermost courtyard. The sanctum has a golden vimanam (crown tower over the sanctum sanctorum). It is shaped like the Tamil omkara (om symbol), shows anthropomorphic Paravasudeva on its gable, has an etching of Ramanuja as well on it, and is plated with gold. Inside, a 6-metre (20 ft) edifice shown Sri Ranganthar reclining on Adisesha, the coiled serpent. [note 4] Adisesha has five hoods and is coiled into three and a half rounds. Vishnu's head rests on a small cylindrical pillow and his right palm which faces upwards rests next to his head. Neither Sridevi (goddess Lakshmi) nor Bhudevi (goddess Earth) are depicted near his feet, as is found in late medieval era paintings. The sanctum does not show Brahma coming out of or connected to his navel either. However, the procession images of Sridevi, Bhudevi and Alagiyamanavalan reside within the sanctum in different places to ease their darshana (viewing). The sanctum can be entered through the south gateway, one the reclining Vishnu is facing. The doorway as one enters from the mukhamandapam, also called the Gayatri mantapa, is flanked by Jaya and Vijaya dvarapalas. The sanctum chamber is round, even though the vimana above is an oval projection. The circumambulation path (pradakshina-patha) is set in a square, to journey clockwise. This garbha-griya is surrounded by a raised square Tiruvunnali, encircling pillars and another inner square. As the visitor completes the circumambulation around the resting Vishnu, one sees four additional images. On the western wall inside the core sanctum is Vighnesvara (son of Shiva and Parvati, Ganesha, Shaivism), on the northwestern corner is Yoga-Ananta (Vishnu seated in yoga asana on Sesha, Vaishnavism), on the northeastern side is Yoga-Narasimha (Narasimha seated in yoga asana, Vaishnavism), and on the eastern wall is Durga (an aspect of Parvati, Shaktism). The golden Vimana over the sanctum at Srirangam midst its gopurams, its gable with Paravasudeva image. The exterior of the vimana and attached mandap (hall) have intricately carved pilasters with fluted shafts, double capitals, and pendant lotus brackets. Sculptures are placed in the niches of three sides of the sanctuary walls; maidens enhance the walls in between. The elevation is punctuated with a secondary set of pilasters that support shallow eaves at different levels to cap larger and smaller recesses. The sanctuary is crowned in the traditional fashion with a hemispherical roof. The double-curved eaves of the entrance porch on the east side are concealed in a later columned hall. Dhanvantari, a great physician of ancient India is considered to be an avatar of Vishnu – there is a separate shrine of Dhanvantari within the temple. Ranganayaki (Lakshmi) shrine is in the second precinct of the temple. During the festival processions, Ranganayaki does not visit Ranganatha, but it is he who visits her. Ranganathar visiting Ranganayaki and being with her is called as 'Saerthi' during 'Panguni Uthiram'. There are three images of Ranganayaki within the sanctum. There are separate shrines for major saints in the Vaishnava tradition, including Ramanuja. Thousand pillar mandapam is a theatre like structure made from granite. It was built during the Vijayanagara rule period. It has a central wide aisle with seven side aisles on each side with pillars set in a square pattern. Sesharaya mandapam is the intricately carved hall built during the Nayaka rule period. It is found on the east side of the fourth prakaram courtyard. The northern side of this community hall has 40 leaping animals with riders on their back, all carved out of monolithic pillars. Garuda Mandapam is named after the vahana (vehicle) of Vishnu, named Garuda. It is on the south side of the third prakaram courtyard. It too is dated to the Nayak rule era. Inside the community hall, on its pillars, are portrait sculptures. In the middle is a free-standing seated Garuda figure, identifiable by his eagle-head, wings and him facing the Vishnu shrine. Kili mandapam is found inside the innermost (first) prakaram courtyard. It is next to the Ranganatha sanctum. Here walking elephant balustrades line the steps that lead into the gathering hall. This is dated to the 17th century Hindu rulers. The hall and structural elements are carved with animals, and in its center is a raised square platform with four carved pillars. Ranga Vilasa mandapam is one of the larger community halls designed for large spaces between the pillars for the pilgrim groups and families to sit together and rest. It is covered with Hindu mythology murals and narratives from the Ramayana. The Hall of 1000 pillars (actually 953) is a fine example of a planned theatre-like structure and opposite to it is the "Sesha Mandap". The 1000-pillared hall made of granite was constructed in the Vijayanagara period (1336–1565) on the site of the old temple. The most artistic halls that the Nayaks added to the complex is the Sesha Mandap on the east side of the fourth enclosure. The hall is celebrated for the leaping animals carved on to the piers at its northern end. The pillars consists of sculptures of wildly rearing horses bearing riders on their backs and trampling with their hoofs upon the heads of rampant tigers, seem only natural and congruous among such weird surroundings. The great hall is traversed by one wide aisle in the centre for the whole of its greater length, and intersected by transepts of like dimension running across at right angles. There still remain seven side aisles on each side, in which all the pillars are equally spaced out. The Garuda Madapa (hall of the legendary bird deity of Vishnu, garuda) located on the south side of the third enclosure is another Nayak addition. Courtly portrait sculptures, reused from an earlier structure, are fixed to the piers lining the central aisle. A free-standing shrine inside the hall contains a large seated figure of garuda; the eagle-headed god faces north towards the principal sanctum. The Kili mandapa (Hall of parrot) is located next to the Ranganatha shrine, in the first enclosure of the temple. Elephant balustrades skirt the access steps that ascend to a spacious open area. This is bounded by decorated piers with rearing animals and attached colonettes in the finest 17th-century manner. Four columns in the middle define a raised dais; their shafts are embellished with undulating stalks. There are 21 gopurams (tower gateways), among which the towering Rajagopuram (shrine of the main gateway) is the tallest temple tower in Asia. The 13-tiered Rajagopuram was built in 1987 by Ahobhila Matha, a historic Srivaishnava Hindu monastery. This tower dominates the landscape for miles around, while the remaining 20 gopurams were built between the 12th and early 17th centuries. The gopurams have pronounced projections in the middle of the long sides, generally with openings on each of the successive levels. The Vellai gopura (white tower) on the east side of the fourth enclosure has a steep pyramidal superstructure that reaches a height of almost 44 metres (144 ft). The structure of the Rajagopuram remained incomplete for over 400 years. Started during the reign of Achyuta Deva Raya of Vijayanagara Empire, the construction stopped after the fall of Vijayanagara in late 16th century and wars thereafter. The Rajagopuram (the main gopuram) did not reach its current height of 73 metres (240 ft) until 1987, when the 44th Jiyar (acharya, chief counsellor) of Ahobila Matha began collecting donations to complete it. The whole structure was constructed in a span of eight years. The Rajagopuram was consecrated on 25 March 1987. The length and breadth at the base of the Rajagopuram is 166 and 97 feet (50.6 and 29.6 m), while the length and breadth at the top is 98 and 32 feet (29.9 and 9.8 m). The 13 glistening copper 'kalasams' atop the tower weigh 135 kg (298 lb) each, are 3.12 m (10 ft 3 in) high with a 1.56 m (5 ft 1 in) diameter vessel. The Ranganathaswamy Temple town has over 800 inscriptions, of which nearly 640 are on temple walls and monuments. Many of these relate to gifts and grants by rulers or the elite, while others relate to the temple's management, scholars, dedication and general operation. The inscriptions have been a source of information about South Indian history, culture, economy and social role. These range from the late 9th century to the rule of Aditya Chola I, to the last historical ones from the 16th century. Others are from the times of Cholas, Nayakas, Pandyas, Hoysalas and the Vijayanagara era. The historic inscriptions at the Ranganathaswamy Temple are in six major Indian languages: Tamil, Sanskrit,Kannada, Telugu, Marathi and Odiya. Further they are in several scripts including Tamil and Grantha. This diversity and the spread of inscription dates suggests that the temple has been an important pilgrimage center to both Tamil and non-Tamil Hindus. Some of the mandapam and corridors of the Temple complex have frescoes, of which some have faded. These narrate Hindu legends and mythologies, or scenes relating to Vaishnava scholars. The Ranganathaswamy Temple complex includes huge medieval era Kottarams or granaries. These provided food reserves and security to the temple town and supplies to its kitchen serving the needy travelers, pilgrims and local population. The temple has many other structures, participating and supporting various aspects of social life. Some mandapams and temple compounds were devoted to education, both religious and secular such as of musicians and dancers. The temple inscriptions state that its premises had an arokyashala (hospital) for those needing medical care. Several 11th and 12th century inscriptions describe a gift of land to support recitation of Hindu texts in the temple and for feeding Sri Vaishnavas. The temple has twelve major water tanks. Of these, the Surya Pushkarini (sun pool) and Chandra Pushkarani (moon pool) are two of the largest that harvest most of rain water. They have a combined capacity of two million liters of water. The temple has wooden monuments that is regularly maintained and used for festive processions. These have intricate carvings of Hindu legends, and some are plated with silver or gold foils. The most significant of the temple chariots are the Garuda vahana, the Simha vahana, the Yanai vahana, the Kudirai vahana, the Hanumantha vahana, the Yazhi vahana, the Sesha vahana, the Annapakshi vahana, the Otrai vahana and the Prabhai vahana. Ranganathaswamy temple is the only one out of the 108 temples that was sung in praise by all the Azhwars(Divine saints of Tamil Bhakthi movement), having a total of 247 pasurams (divine hymns) against its name. Acharyas (guru) of all schools of thought – Advaita, Vishistadvaita and Dvaita recognise the immense significance of the temple, regardless of their affiliations. Nalayira Divya Prabhandam is a collection of 4000 hymns sung by twelve azhwars saints spread over 300 years (from the late 6th to 9th century AD) and collected by Nathamuni (910–990 AD). Divya Desams refer to 108 Vishnu temples that are mentioned in Nalayira Divya Prabandham. 105 of these are located in India, 1 in Nepal, while 2 are located outside of the Earthly realms. Divya in Tamil language indicates premium and Desam indicates place or temple. Periyalvar begins the decad on Srirangam with two puranic stories according to which Krishna restored to life the son of his guru Santipini and the children of a brahmin. Thondaradippodi Alvar and Thiruppaana Alvar have sung exclusively on Ranganatha. Andal attained Sri Ranganatha on completion of her Thiruppavai (a composition of 30 verses) in Srirangam. In total there are 247 hymns of the 4000 Pasurams dedicated to Ranganthar deity of this temple. Except Madhurakavi Alvar, all the other eleven azhwars have created Mangalasasanam (praise) about the Ranganathar in Srirangam. Out of 247, 35 are by Periyalvar, 10 by Aandaal, 31 by Kulasekara Alvar, 14 by Thirumalisai Alvar, 55 by Thondaradippodi Alvar, 10 by Thiruppaan Alvar, 73 by Thirumangai Alvar, one by Poigai Alvar,4 by Bhoothathalvar, two by Peyalvar and twelve by Nammalvar. Kulasekarar (Cheraman II) gave up his kingdom to his son during 798 AD and started visiting temples and singing praises about them. He visited the temple, praised the presiding deity and his works are compiled in Nalayira Divya Prabandam. Kambar is a 12th-century Tamil poet who composed Kamba Ramayanam, a work inspired from the epic, Valmiki Ramayana. He is believed to have come to the temple to get the approval of his work from scholars. The Jain scholar Tirunarungundam honoured the work and it resulted in Tamil and Sanskrit scholars approving the work. The open hall where he recited his verse lies close to the Ranganayaki shrine within the temple. The temple was a center for music and dance learning, with many mandapam showing their sculptures. Some of the religious works like Sri Bhashyam by Ramanuja, Gadya Traya (which is a compilation of three texts called the Saranagati Gadyam, Sriranga Gadyam and the Vaikunta Gadyam) by Ramanuja,CITEREFK.S.2002 Sri Renga natha shtakam by Adi Shankaracharya, Paduka Sahasram by Swami Vedanta Desika, Renga raja Stavam and Guna ratna kosham by Sri Parasar bhattar, Renga raja Sthothram by Kurathazhwar, Bhagavad dhyana Sopnam and Abheethi Stavam by Swami Vedanta Desika are works that were exclusively composed in praise of Srirangam temple. The term Kovil is generally used in Tamil to signify any temple, for many Vaishnavas the term Kovil exclusively refers to this temple, indicating its extreme importance for them (for saivas and all other Tamil people the term kovil refers to Thillai Natarajar Golden Shrine (Chidambaram Temple)). The presiding deity Ranganathar is praised in many names by his devotees, including Nam Perumal (our god in Tamil), Azhagiya Manavaalan (beautiful groom in Tamil). The temple is considered in the Alwar traditions as one of the eight Sywayambu Kshetras of Vishnu where presiding deity is believed to have manifested on its own. Seven other temples in the line are Bhu Varaha Swamy temple, Tirumala Venkateswara Temple, and Vanamamalai Perumal Temple in South India and Saligrama, Naimisaranya, Pushkar and Badrinath Temple in North India. Many of the medieval Sri Vaishanava scholars like Nathamuni, Vedanta Desika and Ramanuja are associated with the temple. Ramanuja was a theologian, philosopher, and scriptural exegete. He is seen by Śrīvaiṣṇavas as the third and most important teacher (ācārya) of their tradition (after Nathamuni and Yamunacharya), and by Hindus in general as the leading expounder of Viśiṣṭādvaita, one of the classical interpretations of the dominant Vedanta school of Hindu philosophy. Ramanuja renounced his family life and went to Srirangam to occupy the pontificate – Srirangam became the stronghold of him and his disciples. Ramanujacharya shrine image in Ranganathaswamy temple. The doctrine of Vishishtadvaita philosophy, Sri Bhashyam was written and later compiled by Ramanuja over a period of time in this temple town. During his stay in Srirangam, he is said of have written "Gadhya Thrayam", which is recited in the temple during the ninth day (Panguni Uttaram) of the festival of Adi brahmotsavam. The temple is a center for the Vishishtadvaita school where Sanskrit Vedas and Tamil works are preached and taught with great reverence. He attained divinity in Srirangam. His Thaan-ana Thirumeni (the symbolic body) is preserved and offered prayers even today after eight centuries. The disciples of Ramanuja got his permission to install three metallic images, one each at Sriperumpudur, Melukote and the third, at Srirangam. The shrine is found in the fourth prakaram (outer courtyard) of the temple and the icon is preserved in the temple by applying saffron and camphor every six months in a ritualistic style. He is found seated in the Padmasana (yogic sitting posture), depicting the Gnyana-Mudrai (symbol of knowledge) with his right palm. "Kovil Ozhugu" is a codification of all temple practices, religious and administrative, shaped and institutionalised by Sri Ramanuja after receiving the due rights from Sri Thiruvarangathamudanar. A stone inscription to this effect is installed in the Arya patal vasal (main gate before the first precinct). Pancharanga Kshetrams (also called Pancharangams, meaning the "five Rangams or Ranganathas") is a group of five sacred Hindu temples, dedicated to Ranganatha, a form of the god Vishnu, on the banks of the Kaveri River. The five Pancharanga Kshetrams in the order of their successive locations, on the banks of the Kaveri River are: The Srirangapatnam called the Adi Ranga, the first temple on the banks of the Kaveri River from the upstream side; the Sri Ranganathaswamy Temple at Srirangam known as Adya Ranga (the last temple), Appalarangam or Koviladi at Tiruppernagar in Tamil Nadu, Parimala Ranganatha Perumal Temple or Mayuram at Indalur, Mayiladuthurai and Vatarangam at Sirkazhi. The Sarangapani temple at Kumbakonam is mentioned in place of Vatarangam in some references. The temple is maintained and administered by the Hindu Religious and Endowment Board of the Government of Tamil Nadu. An Executive officer appointed by the Board manages the temple along with Sri Azhagiya Manavala Perumal Temple, Pundarikakshan Perumal Temple at Thiruvellarai, Sri Vadivazhagiya Nambi Perumal Temple and Mariamman Temple at Anbil. There are three trustees and a chairman for the board of trustees. Annadhanam scheme, which provides free food to devotees, is implemented in the temple by the Board. Under the scheme, free food is offered to two hundred devotees every day in the temple and the expenditure is fully funded by the contributions from devotees. The temple celebrates numerous festivals around the year including processions. These are called utsavam (celebrations). Pagal Pathu (10 day time) and Ra Pathu (10 day night time) festival is celebrated in the month of Margazhi(December–January) for twenty days. The first ten days are referred as Pagal-Pathu (10 day day time festival) and the second half as Ra Pathu (10 day night-time festival). The first day of Ra pathu is Vaikunta Ekadashi. The eleventh day of each fortnight in Hindu calendar is called ekadasi and the holiest of all ekadasis as per vaishnavite tradition is the Vaikunta Ekadashi. During the festival, through song and dance, this place is affirmed to be Bhooloka Vaikuntam (Heaven on Earth). Araiyar Sevai is a divine colloquim of araiyars, who recite and enact Nalayara Divya Prabanda, the 4000 verses of Alvars. Araiyars are born to Araiyar tradition most prevalent in Sri Vaishnava families in Srirangam, Alwar Thirunagari and Srivilliputhur. The tradition of Araiyar Sevai was started by Nathamuni during 10th century. It is believed as per Hindu mythology that 33 crores of gods come down to witness the event. The processional deity is brought to the 1000-pillared hall on the morning of Vaikunta Ekadashi through the Paramapada Vasal (gate to paradise). Lakhs of pilgrims rush to enter it after the gate is opened and the deity passes through it as it is believed that one who enters here will reach vaikuntam (heaven) after death. The gate is open only during the ten days of Ra Pathu (10 day night-time festival). On the last day of the festival, the poet Nammazhwar is said to be given salvation. The performance is enacted by priests and images in the temple depicts Nammazhwar as reaching heaven and getting liberation from the cycle of life and death. At that point, a member from the crowd of devotees, who are witnessing this passion play, goes up to the centre stage and requests Vishnu to return Nammazhwar to humanity, so that his words and form in the temple will continue to inspire and save the devotees. Following this performance of the salvation of Nammazhwar, the cantors are taken in procession round the temple. The annual gold ornament cleaning festival is called Jyestabisheka (first of anointing) and is celebrated during the Tamil month of aani (June–July). The icons of all deities are abluted with water brought in large vessels of gold and silver. Brahmotsavam (Prime festival) is held during the Tamil month of Panguni (March–April). The preliminaries like ankurarpanam, rakshabandhanam, bheri thadanam, dhwajarohanam and the sacrificial offerings in the yagasala are gone through as usual. The processions go round the Chitrai street in the evenings. On the second day, the deity is taken to a garden inside the temple. The deity is taken in a palanquin through the river Kaveri to a village on the opposite shore namely Jiyarpuram on the third day. The annual temple chariot festival, called Rathothsavam is celebrated during the Tamil month of thai (January–February) and the processional deity, utsavar is taken round the temple in the temple car. Chitra Poornima is a festival based on the mythological incident of Gaj-graha (elephant crocodile). The elephant suffered in the jaws of crocodile and god rescued the elephant. Vasanthothsavam is celebrated during the Tamil month of vaikasi (May–June) which according to inscriptions is celebrated from 1444 AD. ^ The entire ASI Epigraphia Indica Volume XXIV is dedicated to these inscriptions. ^ According to Burton Stein, "(...) the stone and copper inscriptions, the basic historical sources of this period, give more information about temples (...) temples mobilized resources of land and money second only to the state and were therefore capable of financing such projects." (...) "During the Chola period, for example, a series of Srirangam temple inscriptions from the reign of Kulottunga I (1070-1118) describe a gigantic process of redevelopment of a large portion of temple lands." ^ The gopurams, when present, are found in the middle of each side of all seven courtyards allowing the pilgrims and visitors to enter from any of the four direction. In some cases the geographical constraints did not permit addition of a gateway and it is here that the courtyard may have less than four entrances. The gateways are taller on the outer courtyards, with the largest found on the south side of the outermost courtyard. ^ The reclining form of Vishnu has widespread popularity in India and southeast Asia, but is known by other names such as Ananta or Anantaseshayi or Anantashayana Vishnu. ^ a b Roshen Dalal 2010, pp. 339-340. ^ Aguilar, Rafael; Torrealva, Daniel; Moreira, Susana; Pando, Miguel A.; Ramos, Luis F. (2018). Structural Analysis of Historical Constructions: An Interdisciplinary Approach. Springer. ISBN 9783319994413. Retrieved 26 February 2019. ^ Stella Kramrisch 1988, p. 202-204 with footnotes. ^ David N. Lorenzen 2005, pp. 52-54, 87-93. ^ a b Spencer 1978, pp. 16-19. ^ Spencer 1978, pp. 14-19. ^ a b c d e Hopkins 2002, pp. 68-69. ^ Spencer 1978, pp. 19-21, Quote: "It was Malik Kafur's spectacular southern raid of 1310-11 AD which resulted in the initial plundering of the Srirangam, Chidambaram, and other famous temples of the Tamil country.". ^ Abdur Rahman 1999, pp. 377-378. ^ a b George Michell & Clare Arni 1999, pp. 76-77. ^ a b T.S. Parthasarathy (1978), Music and Dance in Tamil Literature, Indian Literature, Vol. 21, No. 4, pages 137-148; Quote: "The hymns of the Divyaprabandham bad also been set to music and were being sung till the 14th century when the sack of Srirangam by Malik Kafur put an end to the practice." ^ a b c Mittal & Thursby 2005, p. 456. [b] Trouillet, Pierre-Yves (2017). "Hindu Temples and Development of Localities in Tamil Nadu (South India)". Exploring Urban Change in South Asia. Springer. pp. 311–334. doi:10.1007/978-81-322-3616-0_12. ISBN 978-81-322-3614-6. ^ Mittal & Thursby 2005, p. 457. ^ Vater 2010, p. 40. ^ Jones 2004, p. 4. ^ "NH wise Details of NH in respect of Stretches entrusted to NHAI" (PDF). Ministry of Road Transport & Highways, Government of India. National Highways Authority of India. p. 2. Archived from the original (PDF) on 25 February 2009. Retrieved 17 December 2011. ^ "Thanjavur bus routes". Municipality of Thanjavur. Archived from the original on 17 June 2013. Retrieved 29 December 2012. ^ Ambujam Anantharaman (2006). Temples of South India. East West. pp. 135–136. ISBN 978-81-88661-42-8. ^ P. V. Jagadisa Ayyar (1982). South Indian Shrines: Illustrated. Asian Educational Services. pp. 13–14. ISBN 978-81-206-0151-2. ^ Sircar 1979, p. 64. ^ Ayyar 1991, p. 462. ^ Sundararajan & Mukerji 2003, pp. 434-435. ^ Davis, Richard H. (2004). "A Muslim princess in the temples of Viṣṇu". International Journal of Hindu Studies. Springer Nature. 8 (1–3): 137–156. doi:10.1007/s11407-004-0006-y. ^ Hopkins 2002, pp. 59-60. ^ a b Ramaswamy 2007, pp. 301–302. ^ Michael C. Howard (2012). Transnationalism in Ancient and Medieval Societies. McFarland. pp. 93–94. ISBN 978-0-7864-9033-2. ^ Jamal Malik (2008). Islam in South Asia: A Short History. BRILL Academic. p. 140. ISBN 90-04-16859-1. ^ Hopkins 2002, p. 69. ^ Sundararajan & Mukerji 2003, p. 434. ^ Michell 1995, pp. 73-74. ^ a b Michell 1995, pp. 76-77. ^ a b c George Michell 2013. ^ G. J. Bryant 2013, pp. 58-62, 69-70, 97-98 with footnotes. ^ Hopkins 2002, pp. 34-37. ^ Hopkins 2002, pp. 31-37, 58-59. ^ Anna L. Dallapiccola 2002. ^ Khanna 2003, p. 197. ^ Gray & Hancock 2003, p. 134. ^ a b Bhoothalingam 2011, pp. 53-58. ^ a b Michell 1995, pp. 108-109. ^ a b c Mittal & Thursby 2005, pp. 456-457. ^ Malcolm 1839, p. 69. ^ Michell 1995, pp. 73-75. ^ Madhavan 2007, pp. 85–86. ^ Theodor G. Wyeld; Sarah Kenderdine; Michael Docherty (2008). Virtual heritage: Virtual Systems and Multimedia. Springer. pp. 78–79. ISBN 978-3-540-78566-8. ^ Ambujam Anantharaman (2006). Temples of South India. East West. pp. 2–3, 48, 135–136. ISBN 978-81-88661-42-8. ^ a b George Michell (1993). Temple Towns of Tamil Nadu. Marg Publications. pp. 78–89. ISBN 978-81-85026-21-3. ^ a b c d e Michell 1995, p. 109. ^ Sircar 1971, p. 162. ^ Michell 1995, pp. 108-110. ^ Malcolm 1839, p. 70. ^ Doniger 1999, p. 1026. ^ Dallapiccola 2007, p. 78. ^ Klein 1895, p. 89. ^ Fergusson 1876, p. 352. ^ Rangachar Vasantha (2001). Ahobilam: Sri Narasimha Swamy Temple. Tirumala Tirupati Devasthanams. pp. 52–53. ^ N Rajendran (1993). Epigraphical evidences in the reconstruction of the early history of Tiruchirapalli. Journal of the Epigraphical Society of India. pp. 152–155. ^ P. V. Jagadisa Ayyar (1982). South Indian Shrines: Illustrated. Asian Educational Services. pp. 462–465. ISBN 978-81-206-0151-2. ^ Archana Verma (2017). Temple Imagery from Early Mediaeval Peninsular India. Taylor & Francis. pp. 45–46. ISBN 978-1-351-54700-0. , Quote: "Another inscription from the same place registers a gift of land for feeding Sri Vaishnavas." ^ Percy Brown (2013). Indian Architecture (Buddhist and Hindu Period). Read. pp. 117–119. ISBN 978-1-4474-9857-5. ^ Mukherjee 1998, p. 248. ^ T. 2002, p. 53. ^ A., Chidambaram (1947). "CHERAMAN PERUMAL II ALIAS KULASEKARA, ALWAR ALIAS KULASEKARA PERUMAL III (Born 730 A.D.—Ascended the throne 754 A. D.—Left the throne 798 A. D.—Died 800 A.D.)". Proceedings of the Indian History Congress. Indian History Congress. 10: 268–272. JSTOR 44137144. ^ Kanuga 1993, p. 15. ^ Proceedings of the Madras Music conferences, p. 22. ^ Lal 2001, p. 4525. ^ Kumar 1997, p. 77. ^ V.K. 2007, p. 77. ^ V. 1974, p. 22. ^ Narasimhachary 2004, p. 23. ^ Dasgupta 1991, p. 114. ^ Narasimhachary 2004, p. 37. ^ Govindāchārya 1906, p. 208. ^ Dalal 2011, p. 339. ^ a b J. 2013, p. 3-5. ^ Mittal & Thursby 2005, p. 472. ^ Madras District Gazetteers 1907, pp. 319-322. ^ a b Narayanan 1994, pp. 43–44. ^ a b Cutler 1987, p. 187. ^ Murdoch 1904, p. 13. ^ Sastri 1988, pp. 6-7. ^ Cole 1882, p. cxx. ^ Mittal & Thursby 2005, p. 474. ^ Rao 1967, p. 149. "Proceedings of the Madras Music conferences". The Journal of the Music Academy, Madras. Music Academy (Madras, India). 61. 1930. Besant, Annie Wood (1931). "Theosophist Magazine". 46 (1). Theosophical Publishing House: 830. S., Prabhu (10 May 2012). "Symbolising religious unity". The Hindu. Retrieved 13 October 2014. "Srirangam temple administration". Sri Ranganathar Swamy Temple Administration. Retrieved 10 October 2013. "Srirangam temple pooja schedule". Sri Ranganathar Swamy Temple Administration. Retrieved 10 October 2013. "Madras District Gazetteers: Tiruchirappalli". 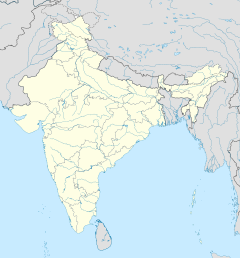 Madras (India : State): Superintendent, Government Press. 1907: 319–322. J., Sulochana Gandhi; R., Soundarajan (January 2013). "Lord Sri Ranganatha Temple — a study" (PDF). Monthly Multidisciplinary Research Journal. 2 (7): 2–5. ISSN 2231-5063. Retrieved 9 September 2013. Ayyar, P. V. Jagadisa (1991) . South Indian shrines: illustrated. New Delhi: Asian Educational Services. ISBN 81-206-0151-3. G. J. Bryant (2013). The Emergence of British Power in India, 1600-1784: A Grand Strategic Interpretation. Boydell & Brewer. ISBN 978-1-84383-854-8. Cole, Henry Hardy (1882). Report of the Curator of Ancient Monuments in India for the year 1881–1882. Government Central Branch Press. p. cxx. Bhoothalingam, Mathuram (2011). S. Manjula (ed.). Temples of India – Myths and legends. Publications Division, Ministry of Information and Broadcasting, Government of India. ISBN 978-81-230-1661-0. Cutler, Norman (1987). Songs of experience: the poetics of Tamil devotion. USA: Norman J. Cutler. ISBN 0-253-35334-3. Roshen Dalal (2010). Hinduism: An Alphabetical Guide. Penguin Books India. ISBN 978-0-14-341421-6. Dallapiccola, Anna Libera (2007). Indian art in detail, Part 26. China: The British Museum Press. ISBN 978-0-674-02691-9. Dalal, Roshen (2011). Hinduism: An Alphabetical Guide. Penguin Books India. p. 339. ISBN 978-0-14-341421-6. Dasgupta, Surendranath (1991). A history of Indian philosophy. Motilal Banarsidass Publisher. p. 388. ISBN 9788120804081. Doniger, Wendy (1999). Merriam-Webster's encyclopedia of world religions. Merriam-Webster, Inc. ISBN 978-0-87779-044-0. Encyclopædia Britannica (India) (2000). Students' Britannica India, Volumes 1–5. Hong Kong: Encyclopædia Britannica Inc. ISBN 0-85229-760-2. Fergusson, James (1876). A history of architecture in all countries. London: Harvard University Library. Govindāchārya, Alkandavilli (1906). The Life of Râmânujâchârya: The Exponent of the Viśistâdvaita Philosophy. S. Murthy. Gray, Martin; Hancock, Graham (2003). Sacred earth: places of peace and power. New York: Sterling Publishing Co. Inc. ISBN 978-1-4027-4737-3. Hopkins, Steven Paul (2002). Singing the body of God: the hymns of Vedāntadeśika in their South Indian. New York: Oxford University Press. ISBN 0-19-512735-8. Jones, Victoria (2004). Wonders of the World Dot-to-Dot. New York: Sterling Publishing Co., Inc. ISBN 1-4027-1028-3. K., Satchidananda Murty; S., Sankaranarayanan (2002). Life, thought, and culture in India, c. AD 300–1000. Centre for Studies in Civilizations. ISBN 9788187586098. Kanuga, Prof G.B. (1993). Immortal love of Rama. New Delhi: Lancer Publishers Pvt. Ltd. ISBN 1-897829-50-7. Kapoor, Subodh (2002). The Indian Encyclopaedia: Timi-Vedic Age. Cosmo Publications. ISBN 978-81-7755-280-5. Retrieved 13 December 2012. Khanna, Amar Nath (2003). Pilgrim shrines of India: mythology, archaeology, history and art (Hindu, Jain, Buddhist, Sikh, Jewish, Christian & Sufi). Aryan Books International. Klein, Augusta (1895). Among the gods: scenes of India : with legends by the way. Edinburgh & London: William Blackwood and Sons. Stella Kramrisch (1988). The Hindu Temple, Volume 1. Motilal Banarsidass. ISBN 978-81-208-0223-0. Kumar, P. Pratap (1997). 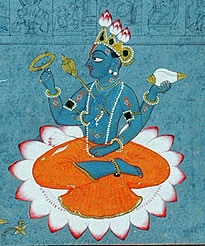 The goddess Lakṣmī: the divine consort in South Indian Vaiṣṇava tradition. USA: The American Academy of Religions. ISBN 0-7885-0198-4. Lal, Mohan (2001). The Encyclopaedia Of Indian Literature Volume Five (Sasay To Zorgot). New Delhi: Sahitya Akademi. ISBN 81-260-1221-8. David N. Lorenzen (2005). Religious Movements in South Asia 600-1800. Oxford University Press. ISBN 978-0-19-567876-5. Madhavan, Chithra (2007). Vishnu Temples of South India Volume 1 (Tamil Nadu). Chithra Madhavan. pp. 85–86. ISBN 978-81-908445-0-5. Malcolm, Howard (1839). Travels in South-eastern Asia, Embracing Hindustan, Malaya, Siam, and China: With Notices of Numerous Missionary Stations, and a Full Account of the Burman Empire; with Dissertations, Tables, Etc, Volume 2. Gould, Kendall, and Lincoln. George Michell; Clare Arni (1999). Eternal Kaveri: Historical Sites Along South India's Greatest River. Jaico. ISBN 978-81-85026-45-9. Michell, George (1995). Architecture and art of southern India: Vijayanagara and Successor states, Volume 1, Issue 6. Cambridge: Cambridge University Press. ISBN 0-521-44110-2. George Michell (2013). "Chapter 41. Tiruchirapalli". Southern India: A Guide to Monuments Sites & Museums. Roli. ISBN 978-81-7436-903-1. Mittal, Sushil; Thursby, G. R. (2005). The Hindu World. New York: Routelge. ISBN 0-203-67414-6. Mukherjee, Sujit (1998). A Dictionary of Indian Literature: Beginnings-1850. Orient Blackswan. ISBN 9788125014539. Murdoch, John (1904). Hindu and Muhammadan festivals. Asian Educational Services. ISBN 9788120607088. Narasimhachary, Madabhushini (2004). Sri Ramanuja. New Delhi: Sahitya Akademi. ISBN 81-260-1833-X. Narayanan, Vasudha (1994). The vernacular Veda: revelation, recite book, and ritual. Columbia: University of South California. ISBN 0-87249-965-0. Abdur Rahman (1999). History of Indian Science, Technology, and Culture, A.D. 1000-1800. Oxford University Press. ISBN 978-0-19-564652-8. Ramaswamy, Vijaya (2007). Historical dictionary of the Tamils. United States: Scarecrow Press, INC. ISBN 978-0-470-82958-5. Rao, V. N. Hari (1967). The Srīrangam temple: art and architecture. Sri Venkateswara University. Sajnani, Dr. Manohar (2001). Encyclopedia of tourism resources in India, Volume 2. Delhi: Kalpaz Publications. ISBN 81-7835-014-9. Sastri, Pandit Natesa (1988). Hindu Feasts, Fasts and Ceremonies. Asian Educational Services. ISBN 9788120604025. Sircar, D.C. (1979). Some Epigraphical Records of the Medieval Period from Eastern India. Delhi: Shakti Malik. ISBN 9788170170969. Sircar, Dineschandra (1971). Studies in the religious life of ancient and medieval India. India: Sundarlal Jain. ISBN 81-208-2790-2. Spencer, George W. (1978). Religion and the legitimation of power in South Asia. Netherlands: Brill Academic, Leiden. ISBN 90-04-05674-2. Sundararajan, K.R. ; Mukerji, Bithika (2003). Hindu spirituality: Postclassical and modern. New Delhi: Motilal Banarsidass Publishers. ISBN 81-208-1937-3. T., Padmaja (2002). Temples of Krsna in South India. New Delhi: Abhinav Publications. ISBN 81-7017-398-1. Anna L. Dallapiccola (2002). Dictionary of Hindu Lore and Legend. Thames & Hudson. ISBN 978-0-500-77067-2. Thursby, G. R. (1903). Annual report of the Archaeological Department, Southern Circle, Madras. Madras: Government Press. V., Meena (1974). Temples in South India (1st ed.). Kanniyakumari: Harikumar Arts. p. 22. V.K., Subramanian (2007). 101 Mystics of India. New Delhi: Abhinav Publications. ISBN 81-7017-471-6. Vater, Tom (2010). Moon Spotlight Angkor Wat. USA: Perseus Books Group. ISBN 978-1-59880-561-1. Wikimedia Commons has media related to Sri Ranganathaswamy Temple (Srirangam). This page was last edited on 22 April 2019, at 20:17 (UTC).